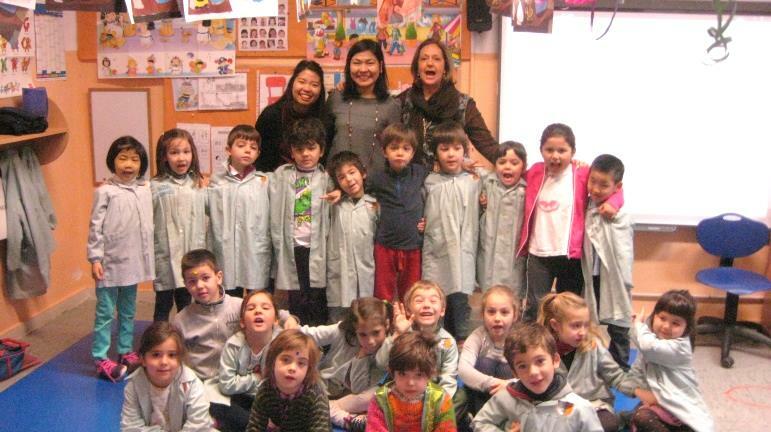 Personnel of the Philippine Embassy in Madrid introduced the Philippines to the preschool children of Colegio Publico Obispo Eijo Garay through a reading of Jose Rizal’s popular folk tale entitled, “The Monkey and the Turtle.” The children, ages 3, 4 and 5, listened intently to the story, which was about a wise turtle outwitting a cunning monkey. They were also given a short description of the Philippines, including its location, its climate and its people. The reading session forms part of the activities of the ASEAN Committee in Madrid. It aims to raise awareness of Spanish school children on the rich cultural heritage of Southeast Asia. It also aims to strengthen the linkages between the local community and embassies of ASEAN-member countries in Madrid. The embassies of Indonesia, Vietnam, Thailand and Malaysia will conduct their respective book-reading sessions on 2, 9 and 16 March and on 6 April in the same school.